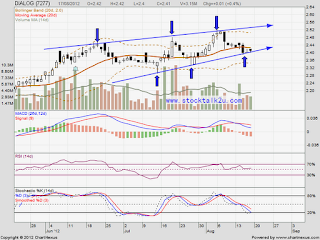 DIALOG retrace down from RM2.50 high. 2. Stochastic %K still on SELL call itinerary. Immmediate support @ lower line. 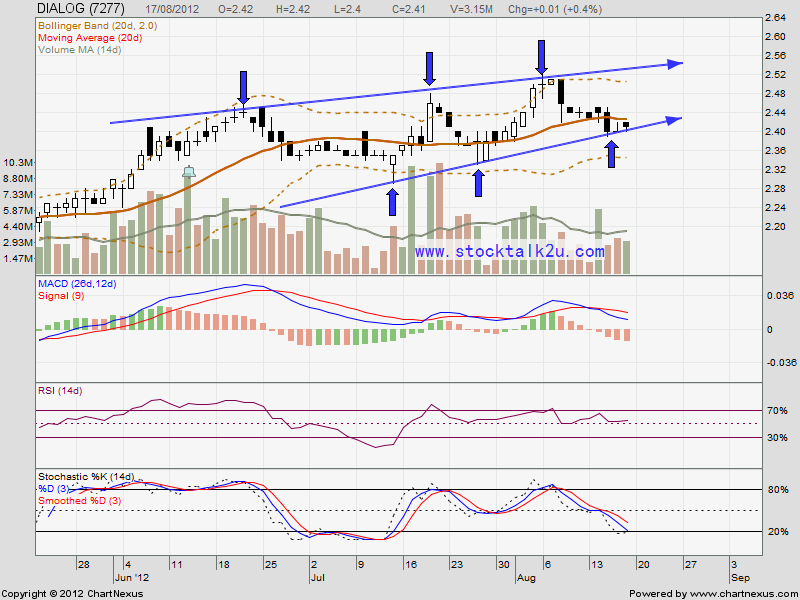 If break down lower line, subsequent support would be RM2.34 level.